Laser Shot Simulators are compatible with VBS3 and can easily integrate with networking multiple units or combining to existing client assets that utilize VBS3 for larger collective training exercises. VBS3 facilitates less expensive, more efficient live-training events by allowing service members and leaders to exercise on a variety of tasks at the “crawl”, “walk” and “run” levels of proficiency. VBS3 enables service members and leaders to enter their training event at a higher level of readiness, reducing the resources required to achieve proficiency. 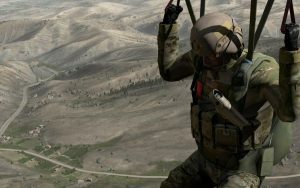 The software is free to authorized users under a US Army enterprise license. Endless training scenarios can be created and edited as needed to adjust to specific training requirements. 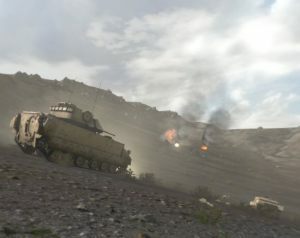 The VBS3 Tactical Weapon Simulator modules included are specifically written to integrate real or simulated weapon training simulations that can be employed for both individual and small unit tactical exercises. Build a virtual firing range quickly and easily using the VBS-3 Mission Editor. Realistic environmental conditions including rendering of natural light sources (sun, moon), shadows, weather conditions and an accurate star field.